On July 15, 2013, the Village Board approved Ordinance 269. This new ordinance allows for the operation of Neighborhood Electric Vehicles and golf carts to be operated on Village roadways that have a posted speed limit of 25 M.P.H. or less. 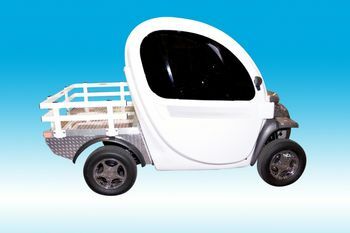 Neighborhood Electric Vehicle, (N.E.V.) are registered through Wisconsin Motor Vehicles and issued a license plate. 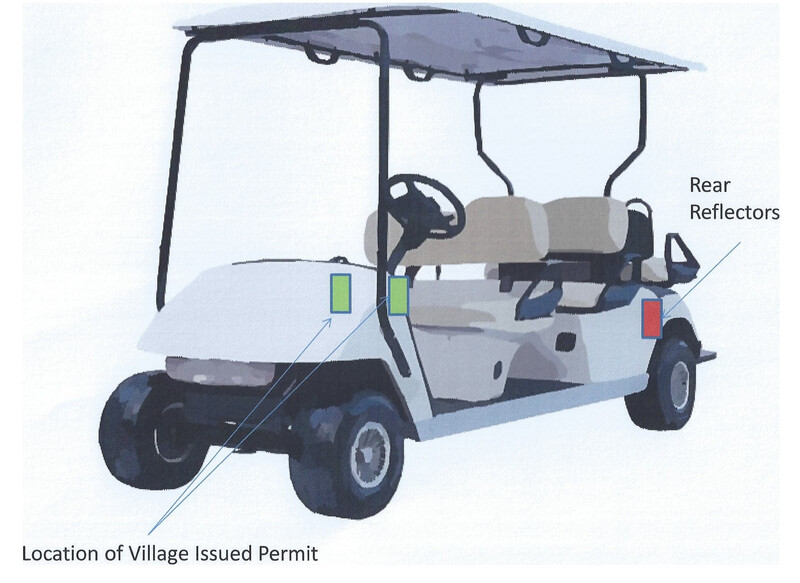 For golf carts, a permit must be obtained from the Village. Please click on the the following two links for the permit form and for the Ordinance. 1. Definitions. “Golf Carts” (GC) means a vehicle whose speed attainable in one mile does not exceed 20 miles per hour on a paved, level surface, and that is designed and intended to convey one or more persons and equipment to play the game of golf in an area designed as a golf course, to maintain a golf course, or to move persons around a golf course whether or not the vehicle is actually being used on a golf course. GCs shall be 4-wheeled and have a gross vehicle weight at rest of less than 3,000 pounds. 2. 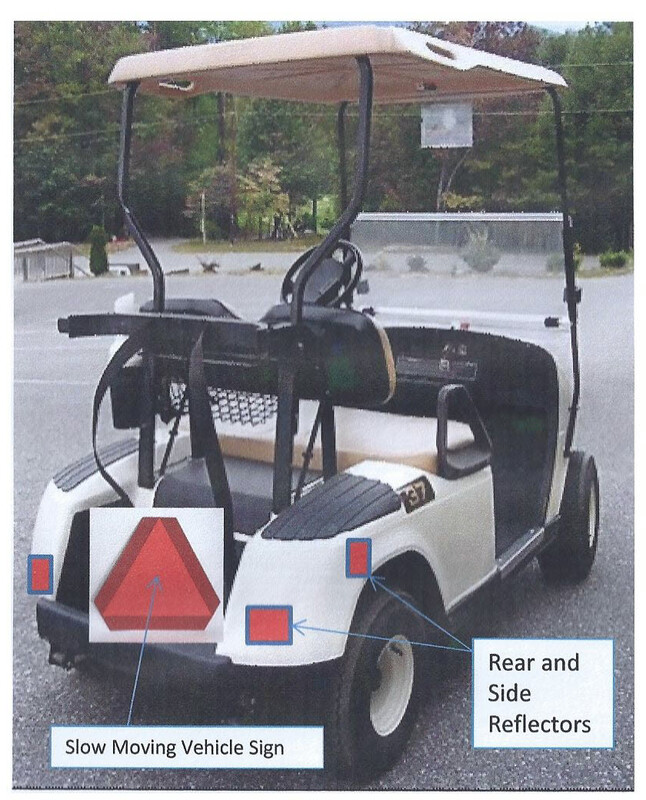 Permitted Users of Golf Carts: To use a golf cart on Village streets as set forth below, the individual must have a valid regular and probationary driver’s license and a motor vehicle liability policy in effect that covers GCs and meets minimum requirements. 3. Permitted Use of Golf Carts on Village Streets: A licensed individual may operate an GC on any roadway within the Village that has a speed limit of 25 miles per hour or less, regardless of whether the municipality has jurisdiction over the roadway except as limited by State Law and this Section between sunrise and sunset. 4. Operation of Golf Carts: The operation of GCs as permitted herein shall in all respects be in compliance with all other Village Ordinances and State Statutes. 5. Registration of Golf Carts: GCs operated within the Village shall be registered with the Village Clerk and shall display that registration on the vehicle. The permanent permit fee is $10.00.